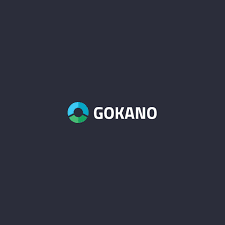 1.First Click Here to go to gokano. 2.Register there,enter all required details. 4.You will get 1 GN(Gokano points) as sign up bonus. 5.You can collect GN Points by referring friends,Completing Missions,Daily Login. 6.Go To Missions Tab and Give daily a simple question answere.you will get 1 GN Points from it daily. 7.Go to Inivite friends Tab and share your referral link you will get 1 GN Points from each referred friends till 30 referrals,after then you will get 2 GN points from each referral. Note : Don't Follow Any Unlimited Trick For Collecting Unlimited GN Points,Your account may be block on following any trick.So My Best Idea is Make a Whatsapp,or Facebook group and Do Genuinely Refers. 2.Now select anyone category between there Gadgents,Electronics,Accessories. 5.You will get your rewards in your doorstep.